PRESIDENT Mnangagwa has appointed Mr Kumbirai Hodzi as the country’s new substantive Prosecutor-General. He will be sworn in today at State House. Mr Hodzi has been acting PG since July 24 last year and replaces Advocate Ray Goba who resigned mid last year. Prior to July 24 Mr Hodzi was Deputy Attorney-General in charge of the Legal Advice Section since 2012. Justice, Legal and Parliamentary Affairs permanent secretary Mrs Virginia Mabiza confirmed the development saying the swearing in ceremony starts at 9AM. 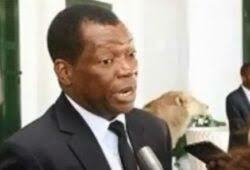 “I can confirm that the Head of State has confirmed Mr Hodzi as substantive PG. The swearing-in ceremony will be held at State House at 9AM tomorrow,” she said. Mr Hodzi was one of the 10 candidates who were interviewed publicly for the esteemed post end of 2018. JSC advertised the post in the Press following the resignation of Adv Goba in September this year after he was suspended from office on a raft of allegations of misconduct such as failing to prosecute high-profile cases, travelling without Cabinet authority and use of abusive language. The office of the PG has become a hot seat, with two previous prosecutor-generals being fired for misconduct. Adv Goba was the third PG to leave office in recent times.